Timber furniture can look beautiful in your home but if it’s scratched or damaged in any way it can look really awful, many people think that once a piece of furniture has a nick or a scratch on it there’s nothing you can do about it but that’s not always the case. 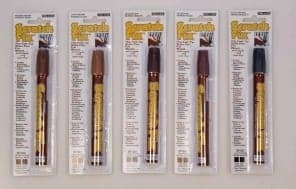 See a demo video on how to use Scratch Fix Pens below. If it’s a surface scratch that hasn’t broken through the lacquer finish then a Scratch Fix Pen probably won’t help. 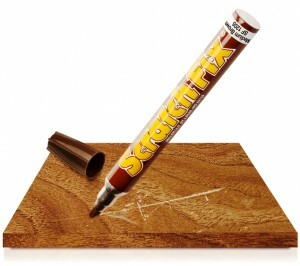 If the scratch has broken through the lacquer and you can see raw wood then the scratch fix pens should do the job. Keep in mind the scratch fix pen is not a filler it only colours the damage, so if the scratch or nick is deep you may need a filler. If that’s the case download our free repair guide and workout what you’ll need and how to fix it.